is considered an unlucky day in Western superstition. It occurs when the 13th day of the month in the Gregorian calendar falls on a Friday. The fear of the number 13 has been given a scientific name: triskadekaphobia; and on analogy to this the fear of Friday the 13th is called paraskevidekatriaphobia, from the Greek words Paraskeví (Παρασκευή, meaning “Friday”), and dekatreís (δεκατρείς, meaning “thirteen”). In Numerology, every number has a particular meaning. The number 13 symbolizes “Death”. It’s a picture of a skeleton with a scythe, reaping down men. The thirteenth Tarot card is also Death. – If 13 people sit down to dinner together, one will die within the year. The Turks so disliked the number 13 that it was practically expunged from their vocabulary (Brewer, 1894). Many cities do not have a 13th Street or a 13th Avenue. Many buildings don’t have a 13th floor. 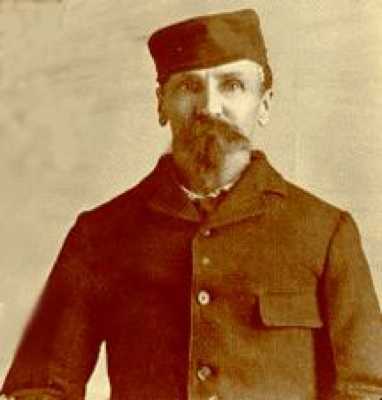 If you have 13 letters in your name, you will have the devil’s luck (e.g., Jack the Ripper, Charles Manson, Jeffrey Dahmer, Theodore Bundy, and Albert De Salvo all have 13 letters in their names). There are 13 witches in a coven. – According to the Stress Management Center and Phobia Institute in Asheville, North Carolina, an estimated 17 to 21 million people in the United States are affected by a fear of this day, making it the most feared day and date in history. Some people are so paralyzed by fear that they avoid their normal routines in doing business, taking flights or even getting out of bed. “It’s been estimated that [US]$800 or $900 million is lost in business on this day”. Despite this, representatives for both Delta Air Lines and Continental Airlines have stated that their airlines do not suffer from any noticeable drop in travel on those Fridays. – In Finland, a consortium of governmental and nongovernmental organizations led by the Ministry of Social Affairs and Health promotes the National Accident Day, which always falls on a Friday 13th. 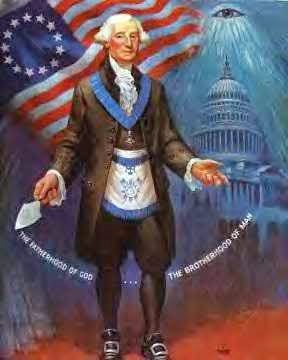 – The significance of the mystical number 13, which frequently appears upon the Great Seal of the United States, is not limited to the number of the original colonies. The sacred emblem of the ancient initiates, here composed of 13 stars, also appears above the head of the “eagle.” The motto, E Pluribus Unum, contains 13 letters, as does also the inscription, Annuit Coeptis. The “eagle” clutches in its right talon a branch bearing 13 leaves and 13 berries and in its left a sheaf of 13 arrows. The face of the pyramid, exclusive of the panel containing the date, consists of 72 stones arranged in 13 rows. – 13s are everywhere in American history, including the design of the US flag with 13 stripes of red and white. Add to that, the process involved with folding the flag includes 13 steps – each with its own special meaning. The phrase “July the Fourth” contains 13 letters and the number 4 (1+3), the birth number of the U.S. (July 4, 1776), which may explain the real reason why the founding fathers chose this as the official birth date of the United States. In Jewish tradition, the number 13 actually has multiple special meanings. Thirteen signifies the age at which a boy matures and becomes a Bar Mitzvah, or ”Son of the Commandment,” which means the responsibility of the religious duties are now put on his shoulders. According to the Torah, God has thirteen attributes of mercy. There are also the famous thirteen principles of faith, compiled by medieval Jewish rabbi and philosopher Moshe ben Maimon (Maimonides), outlining Judaism’s tenets. – On Friday May 13, 1917 the first apparition of the Virgin Mary appeared to three shepherd children in the village of Fatima Portugal. The three children were Lúcia dos Santos and her cousins Jacinta and Francisco Marto. While tending sheep in the fields outside the village the children reported seeing a woman dressed in white and “brighter than the sun, shedding rays of light clearer and stronger than a crystal ball filled with the most sparkling water and pierced by the burning rays of the sun.” The woman asked the children to return to the spot at the same time every 13th of the month for the next six months. As this was the time of the horrors of World War One, she then added, “Recite the rosary every day to obtain peace in the world and the end of the war. ”In total there were six apparitions of the Virgin Mary from May 13 to October 13, 1917. After the first apparition, the children returned on June 13th, this time with hundreds of believers. After the people prayed, the Virgin Mary reappeared before Lucy and announced to Lucy: “I will soon take Francisco and Jacinta to heaven, but you will remain here for some time. Jesus wants to use you to make me known and loved.” Both Francisco and Jacinta would be dead within three years time. Both children died during the 1918-1920 pandemic flu outbreak. During the July 13th apparition, the Virgin Mary reveled herself to and spoke to Lucy once again (the crowd of people, estimated to be 4,000 or more, could not see or hear her, only Lucy). She told Lucy: “I want you to continue to say your rosary every day in honor of Our Lady of the Rosary to obtain the end of the war and peace in the world”. She also told Lucy three prophecies that Lucy was to keep secret for some time. Two of these secrets were disclosed in 1942, the third in 2000. These secrets became known as the Three Secrets of Fátima.On October 13, 1917, during the final visitation, there occurred “The Miracle of the Sun.” This was the miracle the Virgin Mary had predicted she would unfold to cause unbelievers to believe. A crowd estimated to be 30,000 strong was at the site of the previous apparitions when many witnesses saw unusual affects on and of the sun. There was a brief period of rain, then the clouds broke, and when the sun reappeared it was seen as an opaque, spinning disc giving off many colors on the ground, the people, and the clouds. Many thought it was a sign of the end of the world, others reported the sun zigzagged through the sky. Still others claimed their clothing, which had become wet from the rain, instantly dried and the mud at their feet baked dry. – Religious ties — You might be surprised to learn that the superstitions surrounding Friday the 13th are said to stem from religion. 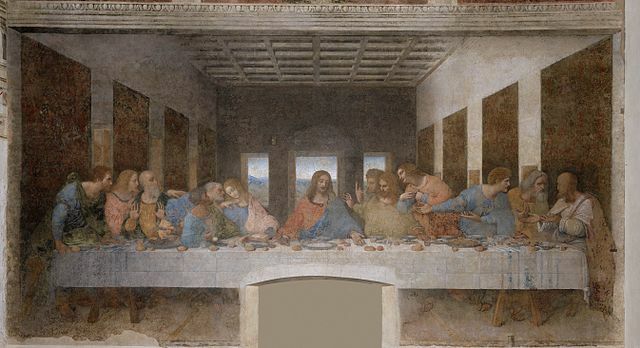 National Geographic reports that the fear was fueled by Judas, the 13th apostle at the Last Supper who betrayed Jesus, and Jesus’ crucifixion, which occurred on a Friday. Thomas Gilovich, a psychology professor at Cornell University, told the publication that the number and day of the week merged to create a “double whammy” of fears. – Norse mythology: 12 gods were invited to a banquet at Valhalla. Loki, the Evil One, the god of mischief, had been left off the guest list but crashed the party anyway, bringing the total number of attendees to 13. 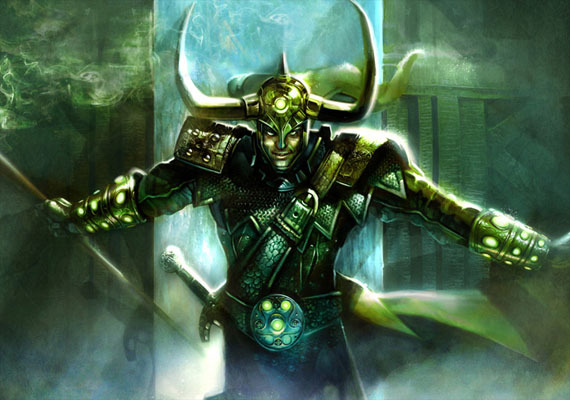 True to character, Loki incited Hod, the blind god of winter, to attack Balder the Good, who was a favorite of the gods. Hod took a spear of mistletoe offered by Loki and obediently hurled it at Balder, killing him instantly. All Valhalla grieved. – Also according to Norse mythology, it was the Vikings who decided a hangman’s noose should have 13 loops and in British tradition, Friday was the conventional day for public hangings, and there were supposedly 13 steps leading up to the noose. *The asteroid Apiophis is named after a mythological Egyptian god of evil who was determined to cast the world into darkness. It appears the asteroid was appropriately named. On Friday April 13, 2029, Apiophis (which is the size of The Rose Bowl, about 1,100 feet across) will come closer to the Earth than the orbit of satellites (at a distance of only 18,000 miles from Earth). Though it will be closer to Earth than many satellites, fortunately, it will come in towards the Earth at an angle that keeps it out of the densely populated Earth satellite region and collisions with satellites should not occur. The asteroid will be close enough to Earth that, even in daylight, observers will see a bright object move across the sky. If the asteroid enters a specific trajectory known as “they keyhole” then the influence of Earth’s gravity will ensure that the asteroid heads off towards the Sun on a trajectory that will guarantee it will strike the Earth the next time it comes around the Sun and approaches our planet. Seven years after that close Earth approach, should the asteroid go through “the keyhole,” Apiophis will hit the Earth in the year 2036. 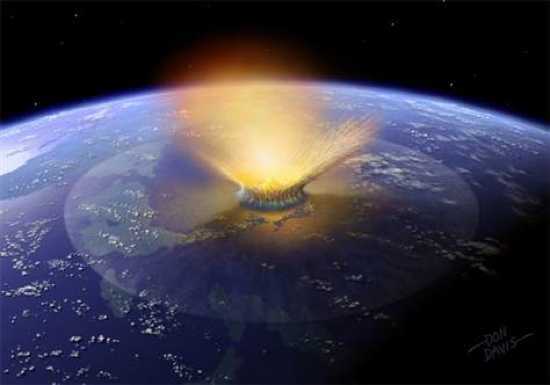 Should it miss the keyhole, the asteroid will not hit the Earth in 2036. However, should Apiophis collide with the Earth, it will cause major damage. The impact would be the equivalent of 100,000 nuclear bombs and would destroy thousands of square miles. 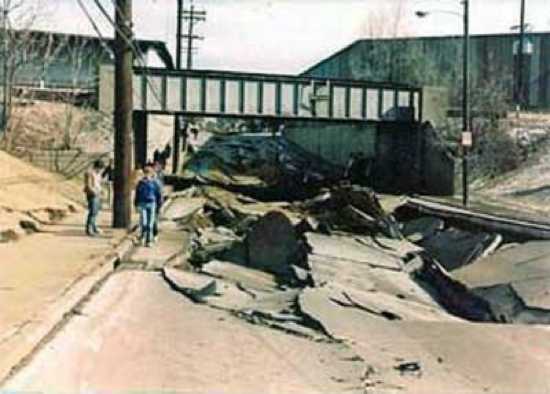 Should it land in the ocean, the resulting tsunami would devastate coastal areas. – On Friday August 13, 1993, the Royal Plaza Hotel in the city of Nakhon Ratchasima, Thailand, collapsed killing 137 people and injuring 227. – Friday has been considered an unlucky day to undertake journeys or begin new projects at least since the 14th century, as witnessed by Chaucer’s Canterbury Tales. He [Rossini] was surrounded to the last moments by 13 admiring friends; and if that is true, like many Italians, he regarded Fridays as an unlucky day and thirteen as an unlucky number, so it would be remarkable that he died that way on Friday the 13th of November. – It’s possible that the publication in 1907 of Thomas W. Lawson’s popular novel Friday, the Thirteenth, contributed to disseminating the superstition. In the novel, an unscrupulous broker takes advantage of the superstition to create a Wall Street panic on a Friday the 13th. In numerology, the number twelve is considered the number of completeness, as reflected in the twelve months of the year, twelve hours of the clock day, the twelve deities of Olympus, twelve tribes of Israel, twelve Apostles of Jesus, the 12 successors of Muhammad in Shia Islam, twelve signs of the Zodiac, the 12 years of the Chinese Buddhist cycle, etc. In contrast the number thirteen is considered irregular, transgressing this completeness. 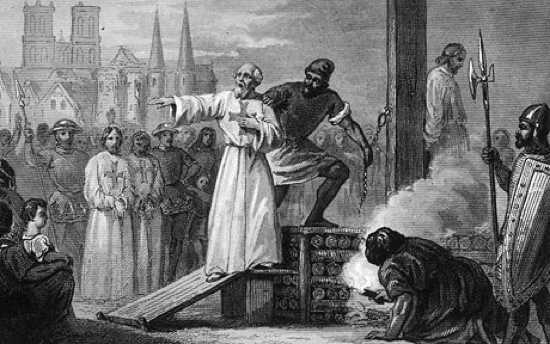 – On Friday, 13 October 1307, hundreds of the Knights Templar were arrested in France, possibly giving rise to the fear of a curse on that day. This connection between the Friday the 13th superstition and the Knights Templar was popularized in Dan Brown’s 2003 novel The Da Vinci Code and in John J. Robinson’s 1989 work Born in Blood: The Lost Secrets of Freemasonry, and also in the Maurice Druon historical novel series: “The Accursed Kings” (French: Les Rois Maudits). – Sometimes, it’s not just once a year— While 2014 only celebrated one Friday the 13th, 2015 will not be as lucky. Not only will the date occur in February, it will also come back to haunt us just four weeks later in March and once more in October. Thankfully 2016 only contains one Friday the 13th date in May. 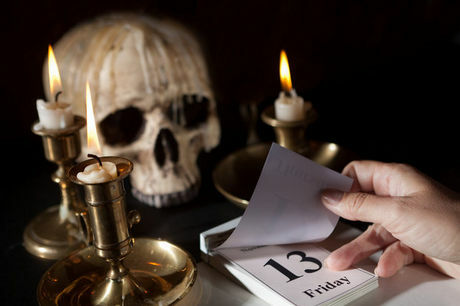 While some years are more lucky than others in terms of the number of Friday the 13th dates, it is impossible for a year to go by without at least one. – The fear can be real — For those who have a deep-seated fear of the holiday, you’re not alone. There are several phobias related to Friday the 13th. Paraskevidekatriaphobia is the “official” name of those who have a phobia of the holiday, according to ABC News. A phobia of the number 13 called triskaidekaphobia also exists. 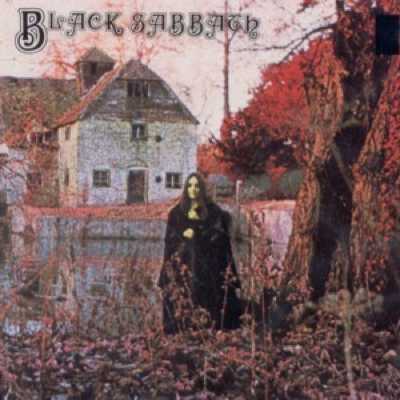 – On Friday February 13, 1970, Black Sabbath released their first album in the United Kingdom. Given only two days of studio time to record it, the band played all of the songs live, saving the second day to mix what they had recorded. The album “Black Sabbath” went on to reach #8 on the UK album charts and when released in the USA, it reached #23 on the Billboard charts. The album remained in the Billboard charts for over a year and was a commercial (though not a critical) success. The album went on to earn platinum selling status in both the US and the UK. The band wasted no time capitalizing on the success of their first album and were back in the studio in June 1970 to record their second album “Paranoid” which had the hit single of the same name. – Tupac Shakur died on Friday the 13th, after his car was hit with 13 bullets. – A tragedy occurred in Delhi, India on Friday June 13, 1997, when the Uphaar Cinema building caught fire. The resulting fire and stampede killed 59 people and injured another 103. *On Friday 13 October 1972 a plane carrying 45 Uruguayan passengers and crew including members of the Old Christian rugby team and their family members and associates crashed in the Andes mountains after veering off route to Santiago, Chile. 16 of the 45 on board ultimately survived after spending 72 days in unimaginable conditions. It is heralded as one of the greatest human survival stories of all time. – Kitty Genovese Murder Shocks the World. *In a murder that shocked the nation and the world, and called into question the willingness and ability of the public to help those in distress, Catherine Susan (Kitty) Genovese was stabbed to death as she was returning to her Queens, New York City home in the early morning hours of Friday March 13, 1964. She was only 29 years old. Two weeks after the murder, a newspaper article appeared that questioned whether or not neighbors heard the attack and stood by and did nothing to help the girl. Later this was called into question, but not before the murder of Kitty Genovese and the investigation brought to light a social psychological phenomenon called “diffusion of responsibility” or “the bystander effect” (or the “Genovese syndrome”). Genovese was returning from the bar where she worked as a manager, around 3:15 AM in the morning and parked her car only 100 feet from her house. While walking in an alley to get home, she was attacked by Winston Mosely. Genovese ran away but Mosely took chase, caught her, and stabbed her twice in the back. She screamed “oh my God, he stabbed me!” and this was apparently heard by many neighbors, but only one of them, Robert Mozer opened his window and screamed at Mosley “let that girl alone!” This frightened Mosley and he fled. Genovese slowly moved towards her apartment building. People called the police to report the attack but the police were slow to respond. Meanwhile, Mosely went to his car, disguised himself, and went back to search for Genovese. He found her, at the back of a hallway leading to her apartment; she was unable to enter her apartment, too weak from the initial attack. Out of view, he proceeded to stab her several more times, then raped her as she was dying. The attack spanned at least a half an hour. She died en route to the hospital in the ambulance. Originally the newspaper reported 38 people heard or saw the attack, but this is certainly an exaggeration. Still, at least a dozen people witnessed the attack, most mistaking it for a quarrel between lovers, or a drunken street brawl by youths. *What is now considered an historic US landmark and pop culture icon, the Hollywood sign above Los Angeles, California, was first unveiled by the owner of the Los Angeles Times newspaper, Harry Chandler, on Friday the 13th of July, 1923. Originally the sign spelled out “Hollywoodland” and was erected to advertise a new housing development Chandler was constructing nearby. The original 30-foot wide and 50-foot tall letters were covered in 4,000 light bulbs. The sign had been intended to stand for only about a year to advertise the property. 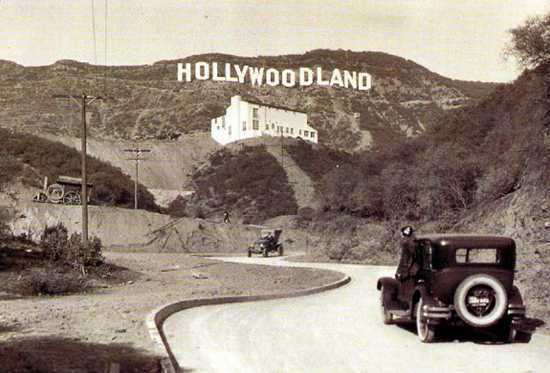 In 1949, wanting to use the sign to promote the area and not just the housing development, the Hollywood Chamber of Commerce decided to remove the “LAND” from the end of the sign, and the rest, as they say in the movies, is history. Over the following decades, the wood and sheet metal sign was allowed to fall apart until it was finally rescued and renovated in 1978, by a group of people who ponied up about $27,000 each to erect a steel sign to replace the older one. One of the donors was rock star Alice Cooper who donated the money in memory of Groucho Marx. Today, the sign is protected and maintained by the Hollywood Sign Trust. In addition to being seen in countless TV, cinema and artist representations and satires, the sign has a history all of its own including the mysterious death of Broadway actress Peg Entwistle, in 1932. Her body was found in a ravine below the sign. The Police surmised Entwistle jumped to her death from the letter H.
1842 – Dr. William Brydon, a surgeon in the British Army during the First Anglo-Afghan War, becomes famous for (reputedly) being the sole survivor of an army of 16,500 when he reaches the safety of a garrison in Jalalabad. 1908 – Rhoads Opera House fire in Boyertown, PA killing 171 people. 1939 – The Black Friday bush fires burn 20,000 square kilometres of land in Australia, claiming the lives of 71 people. 1964 – Hindu-Muslim rioting breaks out in the Indian city of Calcutta – now Kolkata – resulting in the deaths of more than 100 people. 1991 – Soviet troops continue attack on Vilnius, capital of Lithuania; 13 people killed and 140 injured. 1992 – Japan apologizes for forcing Korean women into sexual slavery during World War II. 2003 – Rock musician Pete Townshend of The Who was arrested in London on suspicion of possessing indecent images of children. He was later cleared. 2007 – Two thirds of the Venus’s southern hemisphere suddenly brightened as something triggered aerosols to form at a furious rate. – This sequence given here for 2001–2028, follows a 28-year cycle from 1 March 1900 to 28 February 2100. The months with a Friday the 13th are determined by the Dominical letter (G, F, GF, etc.) of the year. Any month that starts on a Sunday contains a Friday the 13th, and there is at least one Friday the 13th in every calendar year. There can be as many as three Friday the 13ths in a single calendar year; either in February, March and November in a common year starting on Thursday (such as 2009 or 2015) (D), or January, April and July in a leap year starting on Sunday (such as 2012) (AG). – The longest period that can occur without a Friday the 13th is fourteen months, either from July to September the following year being a common year starting on Tuesday (e.g., between 2001–02, 2012–13, and 2018–19), or from August to October the following year being a leap year starting on Saturday (e.g., between 1999–2000 or 2027–28). Each Gregorian 400-year cycle contains 146,097 days (365 × 400 = 146,000 normal days, plus 97 leap days). 146,097 days ÷ 7 days per week = 20,871 weeks. Thus, each cycle contains the same pattern of days of the week (and thus the same pattern of Fridays that are on the 13th). The 13th day of the month is slightly more likely to be a Friday than any other day of the week. 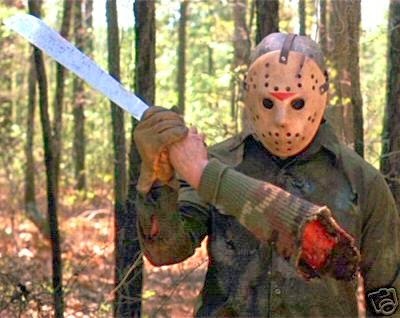 On average, there is a Friday the 13th once every 212.35 days (compared to Thursday the 13th, which occurs only once every 213.59 days).